Just got your hands on Apple’s new iPhone 5? If you want to protect if from scratches and bumps, you might want to protect it with an iPhone case. 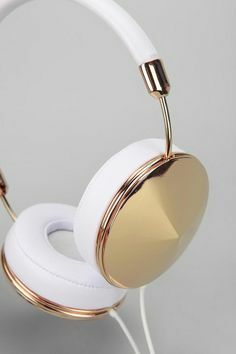 We’ve picked out the most stylish ones on the market today. 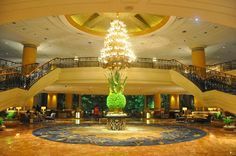 There’s no doubt that the smart phone has changed the way we travel. 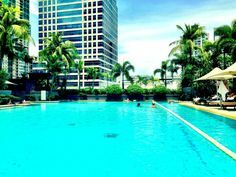 You can use it to book everything from your flights to your accommodation, ask people for restaurant recommendations on Twitter, edit your holiday snaps with instagram, stay in touch with friends while on the road using free apps, and even use maps to navigate your way around a new city. The iPhone 5 has only been on the market for a few weeks, but if you’re one of the lucky ones who already has one, you’ll probably want to keep it looking as new as the day you bought it. Companies are gradually rolling out a range of protective covers for Apple’s latest smart phone, so here are some of the sexiest iPhone 5 cases available to buy now. 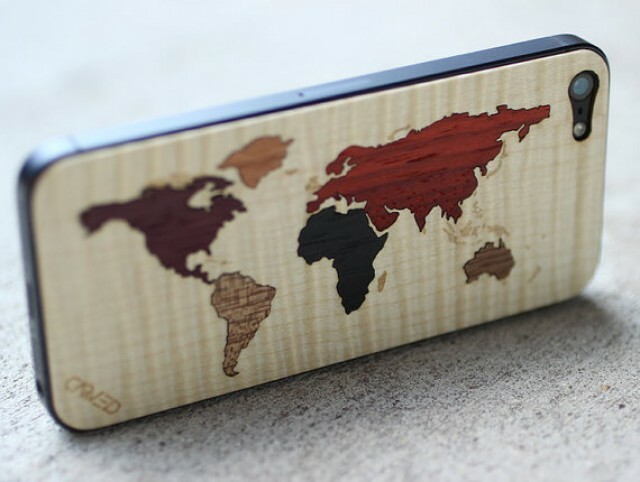 Each continent on the map is laser cut and hand inlaid with a different wood type. This cover for the back of your iPhone is handmade from A+ grade English Sycamore and inlaid with a variety of wood types. The adhesive used on the skin is easy to remove and will not leave any residue on your iPhone, so you can remove and reuse this skin as many times as you like. 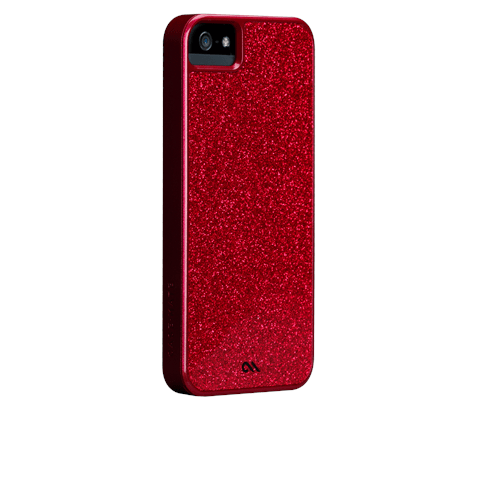 If you really want to glam up your iPhone 5, go for this shimmery case that features a glitter coated inlay with a smooth and clear finish. This two-piece design has a raised lip and a patterned silicone liner to offer extra protection. 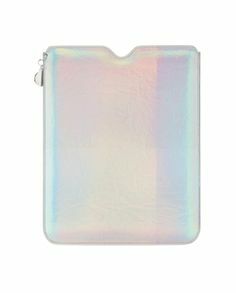 It will definitely add a touch of sparkle your iPhone! If you want to show off the beauty of your iPhone as much as possible, Griffin has come up with a transparent polycarbonate shell to that protects while adding only a little over a millimeter in thickness. 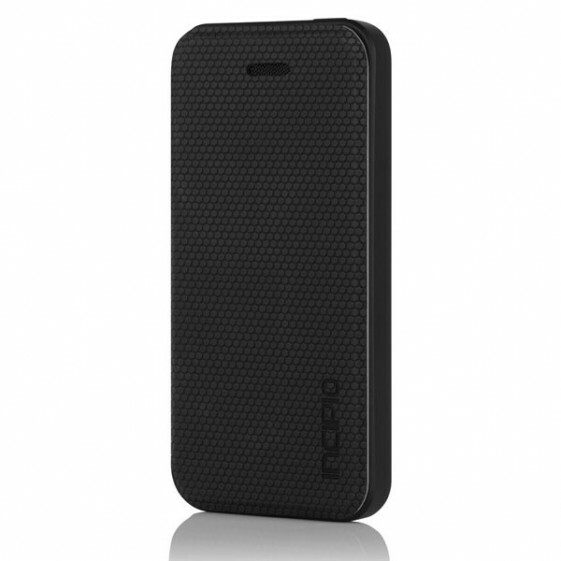 The case has a slim rubber edge that comes in 8 different colours, providing you with extra grip on your iPhone. These jungle-inspired iPhone 5 cases offer two layers of protection, with a premium outer layer that is bonded to an impact-resistant polycarbonate inner shell. The Moxy Case fits snug around the iPhone protecting the back and sides, with a smooth rubber lining to protect against scratching and smudges. Our favourites are the zebra and snake-skin prints! 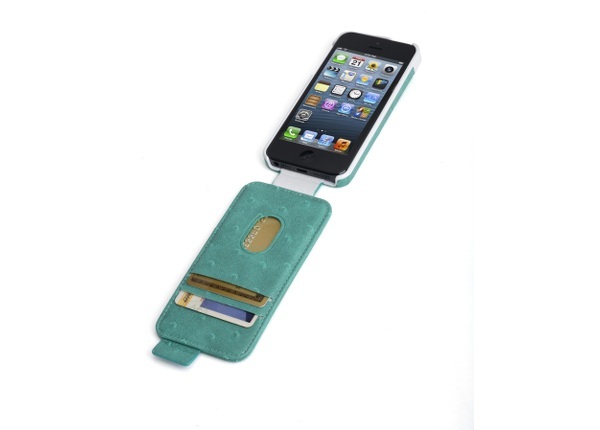 The teal ostrich flip wallet protects all sides plus the front and back of your iPhone 5, and secures with a magnetic closure. 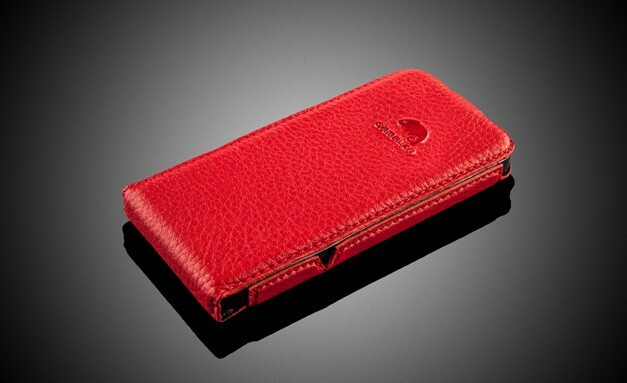 It has an ultra slim profile, as well as slots for your credit cards and ID, so it doubles as a wallet too. 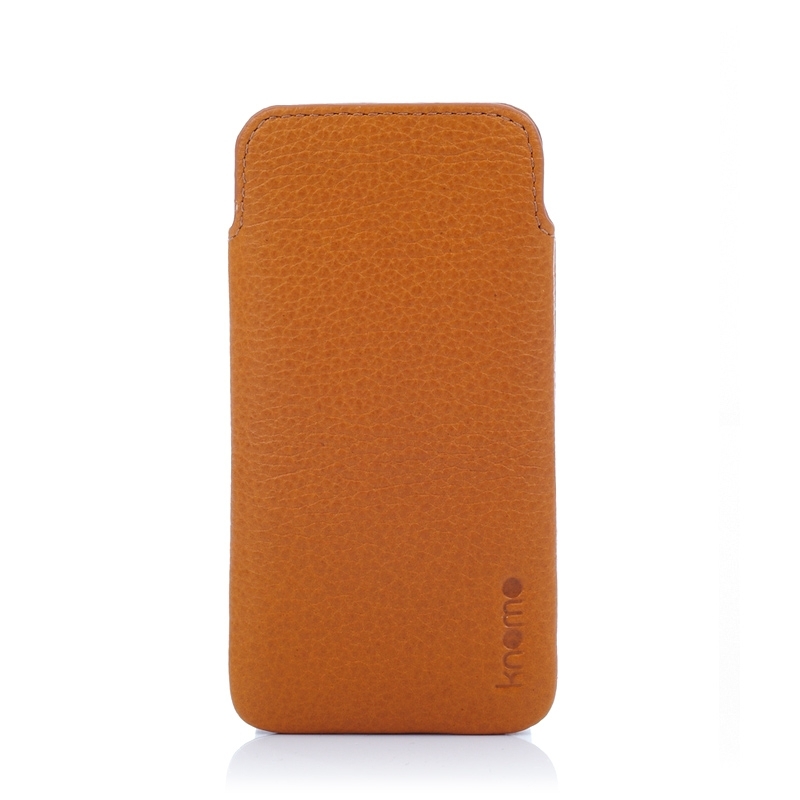 The elegant leather Hexa case allows full access to all of your iPhone 5 functions without having to take it out of the case. You can easily use it on the table by rotating the device to put into viewing position, to watch and to text. It comes in 5 different colours- red floater, pink floater, black saffiano, gray liquid and brown saffiano. This hard iPhone 5 case from Cygnett features aboriginal artwork by Ronnie Tjampitjinpa of Papunya Tula Artists, who is a grand master of the Australian Indigenous Western Desert Art movement. The Grip Candy two-tone case is simple yet stylish, and is made from flexible easy-to-grip material so you don’t have to worry about your iPhone slipping out of your hand. 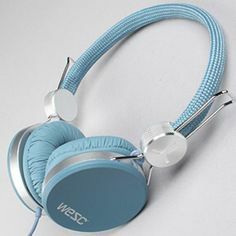 Its slim design means you can easily slip it into your pocket or bag without adding bulk. Knomo have come up with a pebbled leather slim case with a scratch proof microfibre lining, so your iPhone will glide safely in and out of the cover. There’s also easy access to the silent switch. 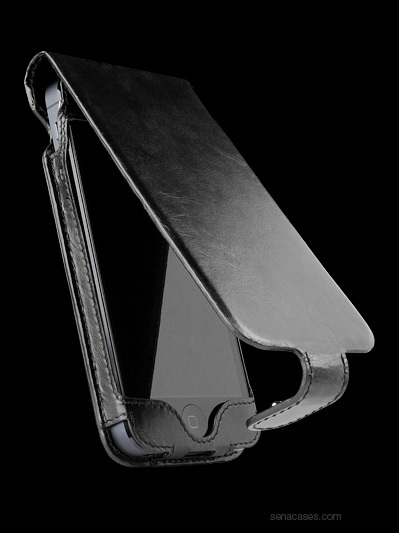 Sena now offers a line of luxury leather iPhone 5 cases, including the Hampton Flip which protects the screen with its flip down cover. This is a great option for those who prefer an upscale full-grain leather case for their iPhone 5. Incipio’s LGND Premium Hard Shell Folio has a rigid Plextonium™ frame with a textured front face closure to protect your iPhone’s screen. It also allows for hands free viewing, enabling you to stand your iPhone on a table and watch videos. 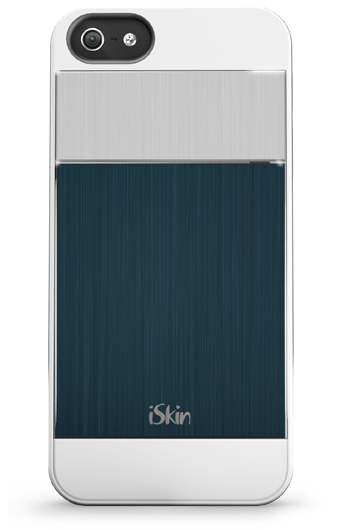 The iSkin Aura has a sophisticated, subtle design with clean horizontal lines and a brushed aluminium finish. The snap on hard case has a side bumper for enhanced grip, a front edge guard to protect the screen face down, and integrated volume button protection. 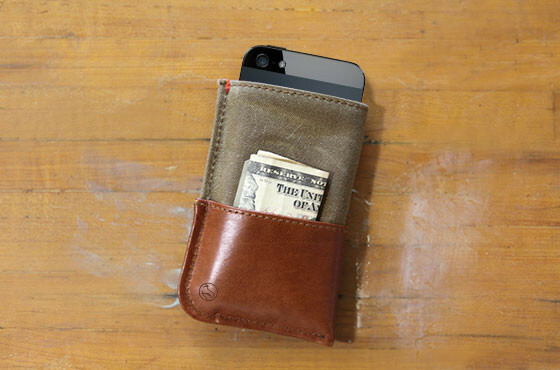 DODOCase has teamed up with a century-old purveyor of waxed canvas and used the finest genuine leathers to create the Durables iPhone Wallet, which is ‘guaranteed to get worn in—not worn out’. The timeless wallet features a sage waxed canvas exterior, a protective orange-poppy cotton interior for your iPhone 5, mahogany exterior leather that wraps around to provide a secure grip, plus two pockets for your cards and cash.